Home»All»Small Museums in Houston: Enjoy a Museum Day… without the Big Museum Crowds! Small Museums in Houston: Enjoy a Museum Day… without the Big Museum Crowds! Houston has A LOT of museums… and sometimes we want to visit them, but we do not want to deal with the crowds. Lucky for us, Houston has a long list of small museums that are prefect for a quieter day with the kids. 1940 Air Terminal Museum: The Air Terminal Museum is a hidden Houston gem located right by William P. Hobby Airport! Art Car Museum: The museum is funky and small (and free and air conditioned), making it just right for kids. The museum’s goal is to “encourage the public’s awareness of the cultural, political, economic and personal dimensions of art. Beer Can House: This house belonged to John Milkovisch who was a retired upholsterer for the Southern Pacific Railroad. He was tired of mowing the grass, so in 1968 he started creating “art” by adding marbles and rocks to concrete and making unique lawn ornaments. When the yard was full, he started to cover the house in beer can siding. Over 18 years, John added over 50,000 cans to his house. Fort Bend Children’s Discovery Center: This Sugar Land museum has several of the highlights from the Children’s Museum in the museum district… but not all the chaos and crowds. It is small, but fun! Galveston Children’s Museum: Small, not crazy busy, housed in the Moody Mansion and has lots of fun things to do. My big kids loved the Lego car ramps and the little woodworking station. My little kids love just about everything. Galveston Railroad Museum: Located in Downtown Galveston, this museum has an old depot, lots and lots of restored trains, a model train building, concessions and more. On certain days, you can even take a short train ride on an old caboose! Houston Center for Contemporary Craft: The Craft Museum has rotating exhibits and artists at work in the studios each day. Go for a quick (and free) visit or… if it’s the first Saturday, go make your free craft at Hands-On Houston! 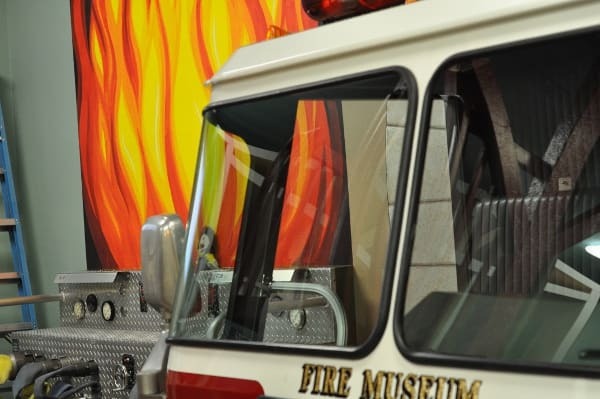 Houston Fire Museum: The Fire Museum is located in old Fire Station 7 and has a great kid’s area! There is the cab of an actual firetruck, with working lights and sounds, a fireman pole (and mat) for the kids to use, a play house for the kids to climb in, uniforms, hats, boots, books and activity kits. Houston Maritime Museum: No big crowds to fight, a guided tour customized for you and a play room for the kids. Houston Museum of Natural Science Sugar Land: Housed in an old prison, this is the smaller version of the Houston Museum of Natural Science. Use your HMNS membership to enter for free. Houston Police Museum: The Houston Police Museum is small… but let me tell you why we love it. It is located on the first floor of a real police station… meaning you get to walk through the metal detector, talk to real police officers and be a part of the action. Lone Star Flight Museum: One of the top flying museums in the United States is at Ellington Airport. 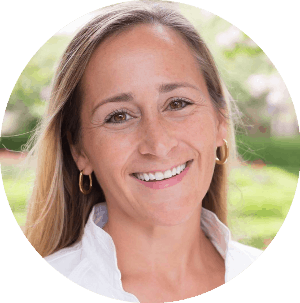 If you a fan of all things that fly and hands on STEM projects, check it out! Menil Collection: It’s not the Children’s Museum and it’s not the Natural Science Museum… it’s something new to try with the family in Houston! All are welcome in these exhibits and all are within walking distance of each other. If your kids can take a hand and use quiet voices for 5 minutes, give it a try. (If your kids are in a rebellious-run-around-like-a-wild-person-phase… this might not be for you just yet!) The cool thing is, the Menil Collection is always free. You can try it and if it’s just not working, head outside to finish the fun. Ocean Star Offshore Drilling Rig Museum: The Ocean Star Museum is housed in a retired jackup drilling rig. There are three floors of models and interactive displays that show the history of offshore oil and gas. There are movies, scale models, actual drill bits, vehicles and more. There is also a third floor skywalk to the drill floor of the rig. Orange Show Monument: You might not believe your eyes when you drive up a residential street and see this monument on Munger Street. This crazy maze was built by the late Jefferson Davis McKissack, a postal worker who found many of the building supplies around Houston, including tractor seats, wagon wheels, tiles and mannequins. This folk art display is certainly not something you see in the museum district. Whether you think it’s crazy or beautiful, you can find some fun here. The Printing Museum: Visitors can take self-guided tours (and pick-up a scavenger hunt list if available), or come for a guided tour. The guided tour is extra cool because you get to help with the hands-on printing of a copy of the Declaration of Independence (and more). Rosenberg Railroad Museum: The museum is located about a 45 minute drive from Houston and has been celebrating railroading in Fort Bend Country for over 160 years. Did you know that Rosenberg was (and still is) a hub for multiple rail lines? San Jacinto Museum of History & Battleship Texas: The museum is located inside the base of the monument, and focuses on the history of the Battle of San Jacinto and Texas culture and heritage. While you are there, head to the top of the monument and then tour the battleship! Texas City Museum: Learn about the Port of Texas City, how much traffic comes through each day and just how dangerous it can be. There is a kids play room and great model train layout. Woodland’s Children’s Museum: Houston has an AWESOME Children’s Museum… but if you’ve been, you know that it is BUSY. As much as my kids love the Houston Children’s Museum, sometimes I just can’t handle the crowds. This is why I like The Woodlands Children’s Museum. For more Houston museums, big and small, go visit the Houston Museum District’s website! Where in Houston? Cullen Sculpture Garden! Video: Favorite Things to Do in Houston, with Kids, February 11-17, 2016! We just discovered the Fort Bend Children’s Discovery Center in Sugarland. I had stumbled upon a Groupon and finally made our way to this little gem. It have three kiddos ranging from 5-11, and they all had a blast! There were crafts, a cultural experience learning about Vietnam folktales, science discovery, and much more. For me, it was a way to experience some of the fun of the Children’s museum without as large of a crowd and without fighting downtown traffic. I definitely recommend it as a small museum must see. Thanks! We can’t wait to go! I don’t see the Buffalo Soldier Museum in your collection. Am I overlooking it! You are right! We just have not reviewed it yet!